When visiting Philadelphia, getting a cheesesteak is a must. 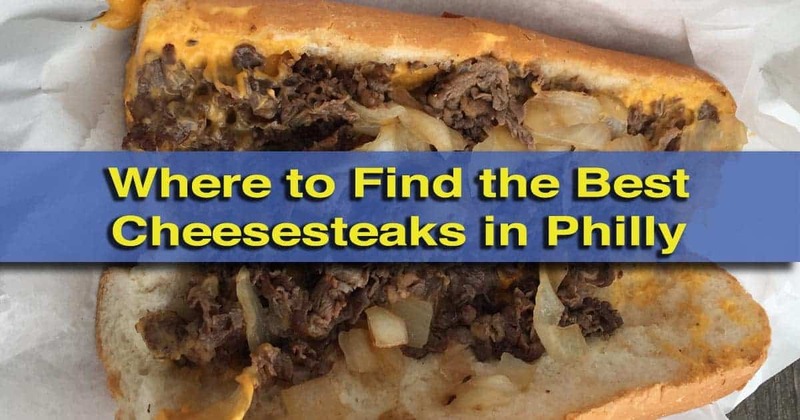 However, with hundreds of choices, where do you get the best cheesesteaks in Philly? During my many visits to the city, I’ve had the chance to try many great, and a few not-so-great cheesesteaks. 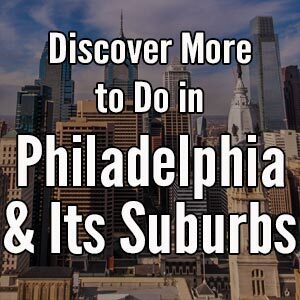 To help you navigate the rather overwhelming list of places in Philadelphia to get a cheesesteak, I decided to share a few of my favorite places for this delicious sandwich. 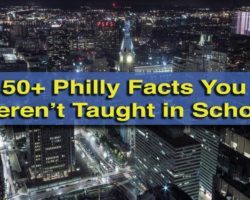 Whether you are looking for the best Philly cheesesteak near Independence Hall or are looking for the most authentic cheesesteaks in South Philadelphia, you won’t want to miss the great places listed below. Jim’s Steaks is one of the oldest places to get a cheesesteak in Philadelphia, opening in 1939, just a few years after the cheesesteak was first invented. Their first location is still open in West Philadelphia on North 62nd Street. 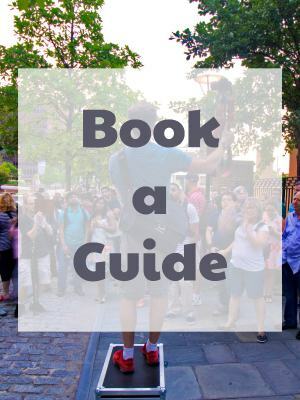 However, most visitors to Philly will find their South Street location much more convenient. 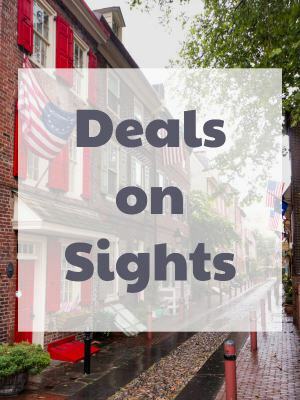 This restaurant is located in the busy shopping, dining, and nightlife corridor along South Street and is about half a mile from Independence Hall. 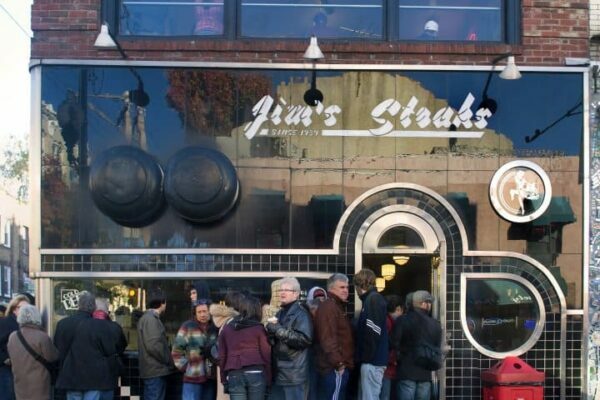 While often mentioned in the same breath as the famous Pat’s and Geno’s, Jim’s is generally considered to have much better cheesesteaks. Despite the name, John’s Roast Pork is probably the best place to get a cheesesteak in South Philly. Once not known outside of the local area, John’s has gained more and more popularity and press in recent years. John’s features a small interior that only has room for those ordering with all seating outside (both covered and uncovered). 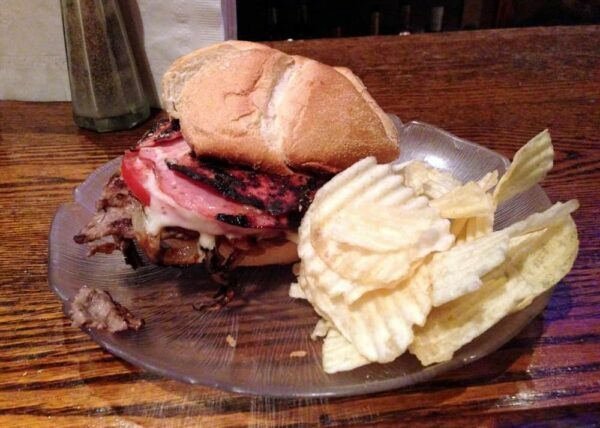 It’s worth noting that John’s Roast Pork is only open until 7pm each day. So, if you want to visit one of the best cheesesteak places in Philly (or to try their equally fabulous roast pork sandwich), make sure to plan for lunch or an early dinner. Dalessandro’s Steaks and Hoagies feels more like a neighborhood deli than a traditional Philly cheesesteak restaurant, but they also put out some of the best sandwiches in the city. 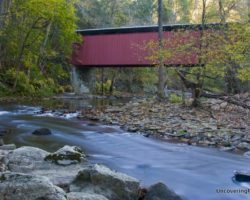 Located in north Philly, this is the perfect place to stop for a filling meal after a day exploring the beautiful Wissahickon Gorge. However, even if you aren’t in the area, it’s worth the drive up to the Roxborough neighborhood just to sample this delicious sandwich, which often finishes near the top of polls for the best cheesesteaks in Philadelphia. 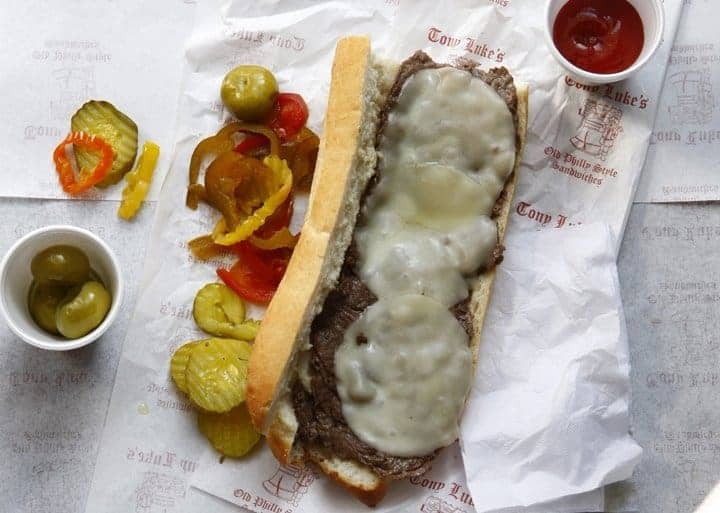 Tony Luke’s is another South Philly staple and is one of the best-known spots in the city. Unlike many of the other well-known establishments, Tony Luke’s opened in the early 1990s, but has quickly gained a reputation for both their cheesesteaks and their roast pork sandwiches. Tony Luke’s has 20 locations, but their best and original location is on East Oregon Avenue in South Philly. 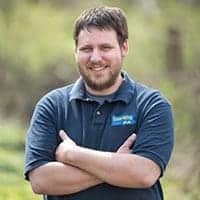 While visiting, take some time to check out the many pictures on the wall of owner Tony Luke, Jr. and the celebrities that have stopped by in the past. 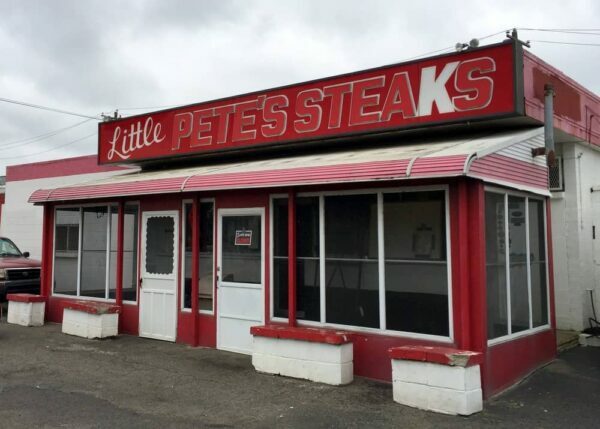 Little Pete’s Steaks is a hole in the wall, but offers delicious cheesesteaks. Little Pete’s Steaks might be the least-known place on this list, but that doesn’t mean its not one of the best places to get a cheesesteak in Philadelphia, PA. What Little Pete’s lacks in ambiance and location (it’s in a hard to find spot between an industrial area and I-95) it makes up for with delicious cheesesteaks. Little Pete’s also doesn’t advertise much, and they don’t appear to have a website or social media presence. Compared to other places that seem to revel in what famous people have been there, Little Pete’s simply focuses on making some of Philly’s best cheesesteaks. Make sure to get here early, though, as Little Pete’s closes at 2pm each day. Sonny’s Famous Steaks is a great choice for a cheesesteak in Old City. If you’re looking for a great cheesesteak near Independence Hall and Philly’s Old City, Sonny’s Famous Steaks is a great choice. 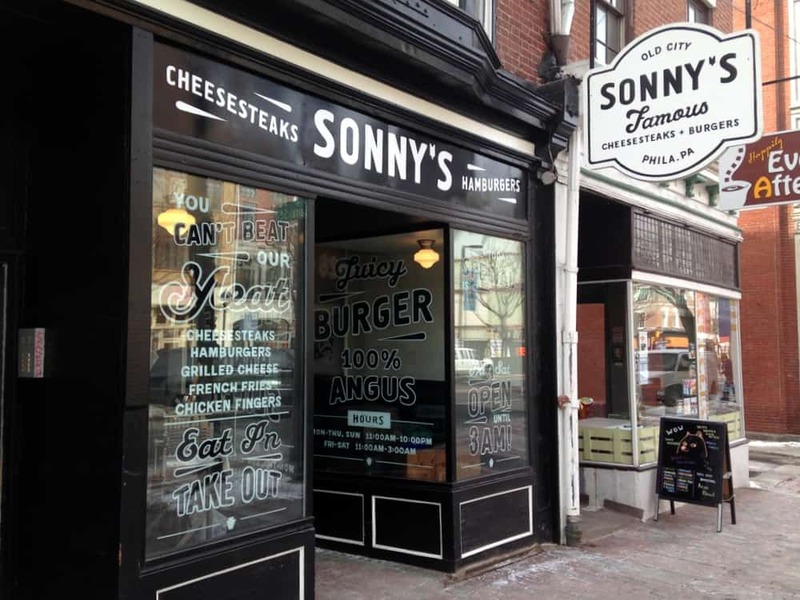 Located on Market Street between 2nd and 3rd Street, just around the corner from the Benjamin Franklin Museum and Christ Church, Sonny’s offers cheesesteaks in a great location. 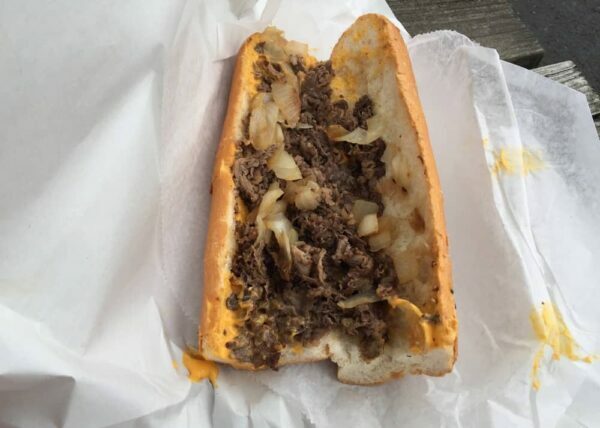 Sonny’s Famous Steaks was named the best cheesesteak in Philadelphia by GQ Magazine in 2014. 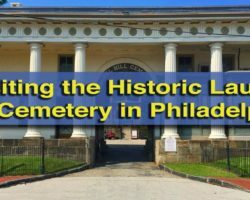 While I personally don’t think it’s the city’s best, it’s definitely a great spot if you want a cheesesteak while touring the sites in Independence National Historical Park. Nearby Campo’s is another popular choice, but Sonny’s offers both a better cheesesteak and a better overall experience. The Schmitter at McNally’s Tavern might be the best cheesesteak variation in the city. McNally’s Tavern in Philly’s Chestnut Hill might be an unconventional choice as they don’t serve a traditional cheesesteak. 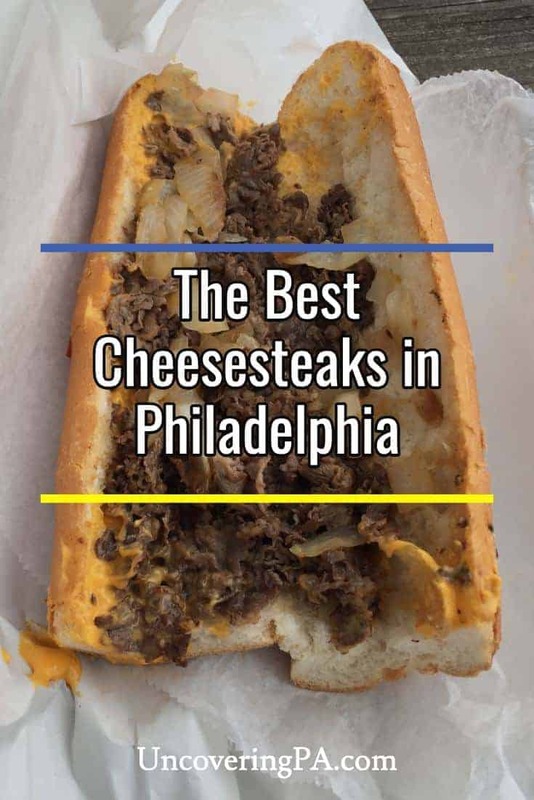 However, if you want to try something a little different, their Schmitter might be the best twist on a Philly cheesesteak that you’ll find in the city. McNally’s Schmitter includes traditional cheesesteak elements like steak, cheese, and onions, but adds salami, tomatoes, and their special Schmitter sauce, which somewhat resembles Russian dressing. Also, unlike traditional cheesesteaks, the Schmitter is served on a kaiser roll. All in all, it adds up to an amazing twist on this classic Philly sandwich. Where do you think serves the best cheesesteak in Philadelphia? 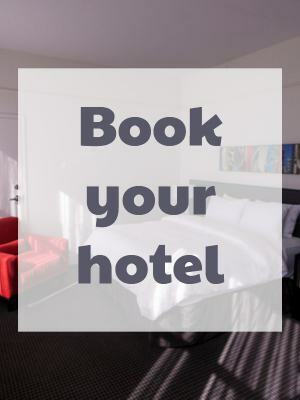 Share your favorite in the comments below. It’s important to know how to properly order a Philly cheesesteak. Most cheesesteak places in Philly are no nonsense and lack a bit in the cheery customer service category. Because of this, it’s best to understand how to order a cheesesteak before you step inside. At most traditional cheesesteak places, you’ll have three cheese choices: Cheez Whiz, provolone, and American. Cheez Whiz is the traditional choice, and adds a nice sauce to the sandwich as it melts. To be honest, I thought Cheez Whiz sounded disgusting until I tried it. You also have the choice of getting the sandwich with or without grilled onions. This is ordered simply by saying “wit” or “witout”. To order, simply say “one Whiz wit,” “one American witout,” or any of the other possible combinations. It’s also worth keeping in mind that many cheesesteak places have very long lines during meal times. However, these lines tend to move quickly. If you want to avoid the lines, try visiting mid-afternoon or in the morning. Finally, note that most, but not all, of the best Philly cheesesteak restaurants only accept cash. However, many do have ATMs on site. Check our list of the best breweries in Philly and where to eat in nearby Bucks County, PA. While not the traditional cheesesteak stand, I had a great cheesesteak at a shop at Reading Terminal Market. Ok. Don’t know where you grew up but Cheez Whiz on a cheese steak is sacrilegious and not the traditional cheese that is typically used . American cheese is the traditional cheese. Not sure about that. Provolone was the first cheese added in my research and Cheez Whiz tends to be the most popular. On your way to Atlantic City , jump off RT 54 Hammonton NJ…and inhale a hoagie from Cacia’s Deli/Bakery , or Bagliani’s Italian market. Or just a few more minutes, make a left on 3rd Street to Rocco’s Townhouse for a cold one and a bangin’ Roast pork and broccoli rabe that’ll rival anyone in Philly and burbs!! Overbrook Pizza at 2099 N 63rd St, Philadelphia, PA 19151 is the best! Even Will Smith agrees! 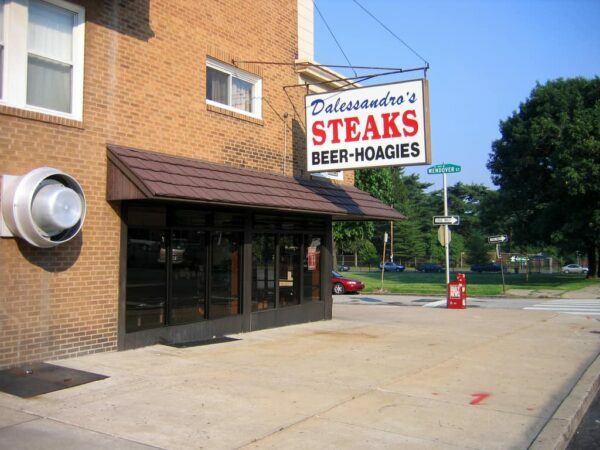 Dalessandro’s Is in Roxborough (Northwest Philadelphia), not North Philadelphia. Phillips Steaks on Passyunk Ave near I 76 is a fairly unknown gem. E-Z on and off I 76 for a quick stop.